of chezjau.studio usage by visitors. “Us” refers to chezjau.studio team, mainly Jaufré Aligé. “The User” refers to the visitor browsing chezjau.studio. “Moderate” means removing inappropriate words . “Archives files” refers to files ending in .zip, 7z, .tar.xz, .tar.gz, .rar and any king of file system image or multiple files regrouped into one single file. 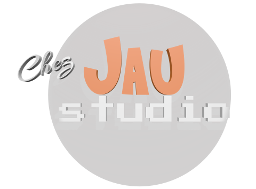 We don’t garantee anything about the contents distributed on chezjau.studio. We don’t provide guarantee and won’t be responsible for any misuse of the contents provided by us, or any damage occured. Any personal data collected will be protected the best we can. Any comment can be removed. You can ask for this kind of removal on our Telegram Chanel or using the contact form “Ask me” (links in pages footers). The messages send using the Contact form “Ask me” are stored 1 year then removed from the database. You can ask for immediate removal. The user agrees that s.he is using contents distributed on chezjau.studio without any guarantee of any sort. Any damage using our contents is your responsibility. The user agrees to not use racist words or never call to violence using our website and contents. Racist, Sexist, Call to violence against a community, harassment words will be moderated. The user agrees to follow the terms of contents licenses. You will always find these information in the article or/and inside the archives files.